NEW YORK (WABC) -- The Centers for Disease Control says a multi-state outbreak of E. coli has sickened seven people, putting five of them in the hospital and prompting a major recall. 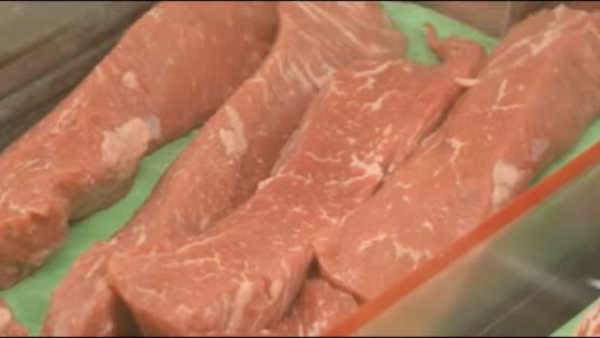 E. coli contaminated beef was distributed to stores and restaurants in Massachusetts, Connecticut and eastern New York. It's been linked to the 'Adams Farms Slaughterhouse' in Massachusetts. But the CDC says the company has recalled various cuts of beef, veal and bison. The recall covers meat items produced from mid-July to just a few days ago. The products affected by the recall were from animals slaughtered on July 15, 25 and 27 and Aug. 3, 8, 10, 11, 17, 24 and 26 and were packed on various dates from July 21 to Sept 22, according to the CDC.